On December 27, 2011, Pan Yong, deputy general manager of Qingling Motors, flew to Wuhan from the companyâ€™s headquarters in Chongqing and visited Isuzu dealer Hubei Tianyuan Qingling Automobile Sales & Service Co., Ltd. in Wuhan, Huangshi and Qianjiang in two days. The distribution network set up in Central China is very satisfied with Hubei Tianyuan Qingling Sales Network's complete distribution network and increasingly perfect sales and services. Qingling said that in the future, it will increase support for Hubei Tianyuan Qingling and hopes that Hubei Tianyuan Qingling will continue to consolidate and do a good job in sales and services to major customers such as Kyushu Tongmai Group, Shunfeng Logistics, Debang Logistics, etc. 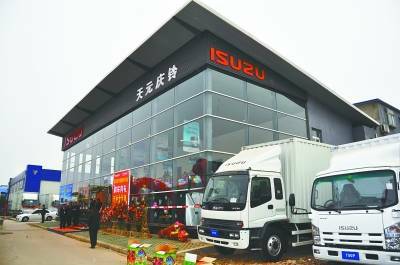 Isuzuâ€™s retail market is striving for a new level of sales of Isuzu products in Hubei in the new year. Businesses compete in the Central Plains, will inevitably attach great importance to the central market in Hubei and other cities where the provinces are strategically located. The implementation of the strategy to promote the rise of the central region and the return of the historic status of the Greater Wuhan, the establishment of the Dongxihu Bonded Logistics Center and the Donghu Comprehensive Bonded Zone have enabled Hubei's transportation location advantages to show investment attraction. TNT, SF Logistics, Debon Logistics and other large domestic and international logistics companies and Amazon.com, Jingdong Mall, Suning.com and other large e-commerce companies have gathered in Wuhan's two major logistics bonded areas. 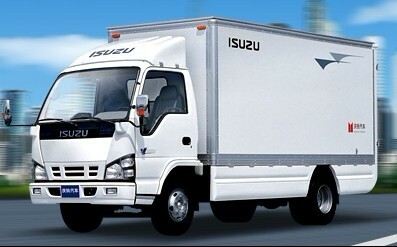 The demand for high-end commercial vehicles such as Isuzu has greatly increased. Qingling took advantage of this to expand its sales network and distribute sales in Qianjiang and Edong International Automobile City (Huangshi and Ezhou Interchange Zones). The sales volume in 2011 was more than doubled in 2010, and maintenance service stations and other after-sales service systems also continued to expand. , And began to appear profitable. When Qingling Automobile and Hubei Tianyuan Qingling met with each other's top executives, they were full of confidence in the prospects of the Isuzu market. In 2011, the nationwide commercial vehicle market shrank, while the sales of Isuzu produced by Qingling Motors increased by more than 20%. In 2012, the state will conduct PM2.5 and ozone monitoring on Beijing-Tianjin-Hebei and key regions such as the Yangtze River Delta and the Pearl River Delta as well as municipalities and provincial capitals. This will be of great benefit to high-end commercial vehicles such as Isuzu and other high environmental standards. Hubei Tianyuan Qingling will seize the opportunity to make better marketing performance.